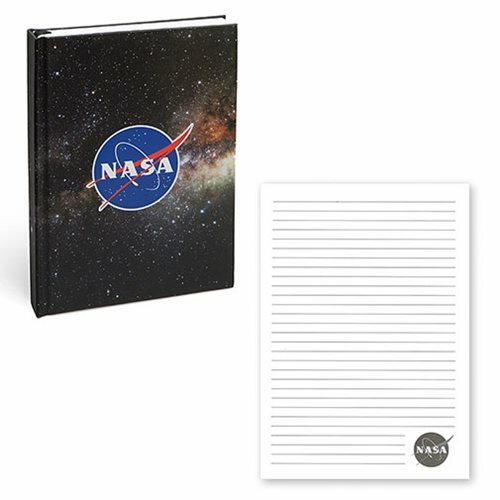 This stellar NASA Celestial Journal is hard bound and includes 232 lined pages with the NASA "meatball" logo at the bottom outer corners. It features a ribbon bookmark and color image inserts of Saturn, the eye of Jupiter, the comet NEAT, and Pluto as captured by the New Horizons space probe. How cool is that? !